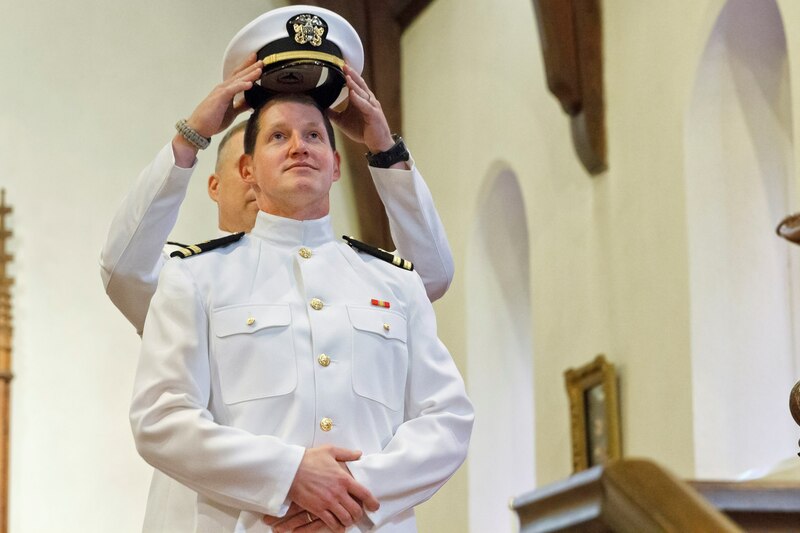 On Sunday, 23 April 2017, our Rector, Nathan Wilson Ferrell, took the oath of office to become a Lieutenant in the United States Navy Reserves. The Navy has a dire need for Chaplains (active and reserve duty) and, in particular, the Navy has no reserve Chaplains in the Maine or New Hampshire area. Nathan intends to do what he can to ameliorate this need by making himself available for veterans funerals, baptisms of servicemembers children, leadership of marriage enrichment workshops for military families, prayers of invocation and benediction at Navy ceremonies, and other tasks as requested. Navy Chaplains serve all of our nation’s Sea Services, which include the Navy, the Marines, the Coast Guard and the Merchant Marines. Fr. Nathan’s duties will not require him to miss additional Sundays (except in the possible case of reserve unit deployments), as his duty time will take place on other days on an as needed basis. His initial training will take place in July 2017 at Naval Station Newport (RI) and as part of his sabbatical in 2018 at the Naval Chaplaincy School and Center located at Fort Jackson (SC). 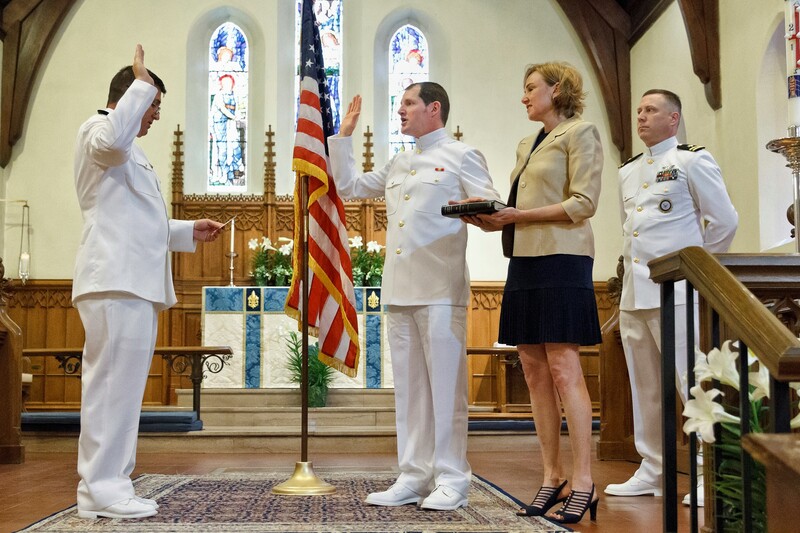 The oath of office was administered by CAPT Mark Winter, USN. The assisting officer, and Nathan’s Navy recruiter, was LT Shea Bickerstaff, USN. During the oath-taking, the Bible was held by Nathan’s wife, Erin McGee Ferrell. A celebratory reception followed in the Parish House Auditorium.